3 years & up. 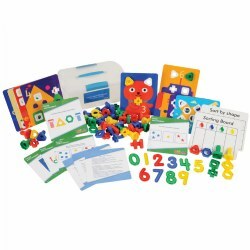 Children will be introduced to math concepts such as length, volume, weight, distance, and temperature with the materials and activities in this toolbox. 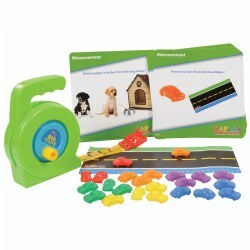 Children will engage in hands-on math activities encouraged by eight interactive cards, road ruler, tape measure, and a set of manipulatives that incorporate all the listed math skills and more. 3 years & up. Children will be introduced to math concepts such as quantities, comparing, correspondence, and counting with the materials in this toolbox. 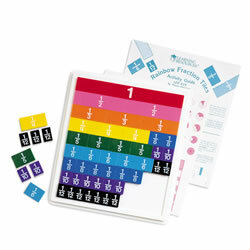 Children will be guided and engaged in hands-on math activities with the 20 included activity cards. 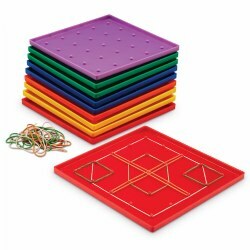 Fine motor abilities are also incorporated with the corresponding set of manipulatives that further illustrate counting and comparing math skills. 3 years & up. Sturdy, accurate balance features removable, transparent 1/2-liter buckets for comparing liquids or solids. One gram sensitivity. 4 years & up. 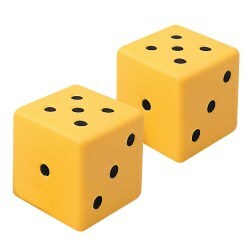 3" molded dice with softly rounded corners. 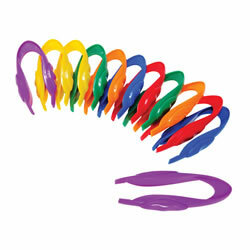 Great for any game or math activity! Set of 2. 3 years & up. 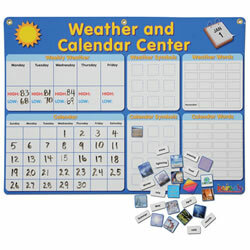 This magnetic, dry erase calendar teaches, time, weather and vocabulary! Children interact and learn about the days of the week and months of the year while increasing their vocabulary knowledge. There are 18 weather related magnetic pictures and 45 word tiles (20 weather words, 22 calendar words). 3 blank picture tiles and 3 blank calendar word tiles are included so that teachers can add words and pictures of their own. 23 1/2" L x 32"W.
3 years & up. 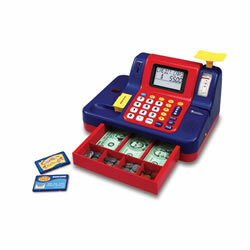 Learn money and basic math skills as children practice coin identification, addition, subtraction and place value. 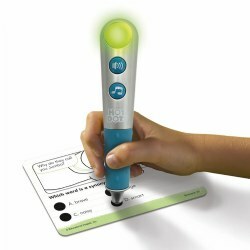 Great for pretend play exercises and learning basic calculator skills. The automatic shutoff saves on batteries. Requires 3 C batteries, sold separately. Includes play money, coupon, and play credit card. Grades 1 & up. 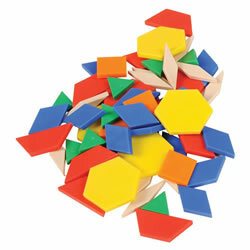 Students can explore shape, size, pattern, volume and measurement with these invaluable hands-on tools. 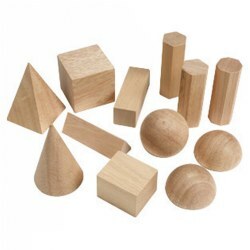 Smooth wooden cones include sphere, cube, cylinders, pyramid, prisms, hemisphere and rectangular solids, ranging in size from 2" to 3". PreK & up. 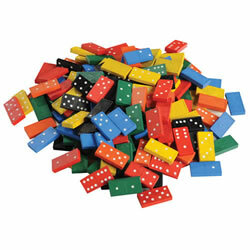 These large 1 3/4" soft foam dice will fit perfectly into any game or math activity. 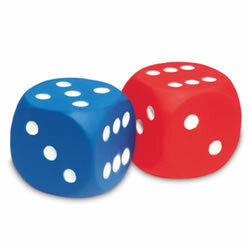 Set of 2 dice. 4 years & up. 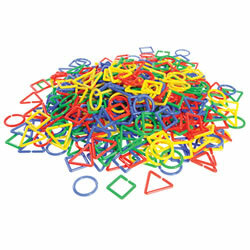 Build chains using three different shapes and four colors with this giant 500 piece set. 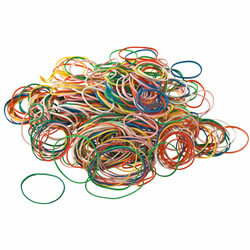 Great for counting and sorting activities too! Pieces store in a convenient jar with screw-on lid and handle. Grades K & up. 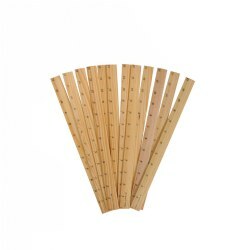 You can twist and roll these rulers but they will always turn back to their flat shape. Great for measuring curved surfaces. Includes five 12" (30cm.) 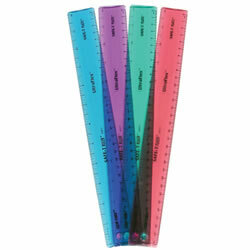 rulers. Colors may vary. 4 years & up. 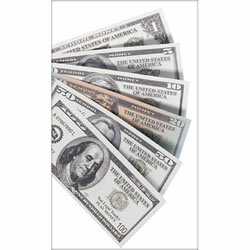 This mixed bills money set contains 25 x $1.00, 20 x $5.00, 20 x $10.00, 20 x $20.00, 5 x $50.00, and 10 x $100.00 US bills. Total of 100 pieces. 2 years & up. 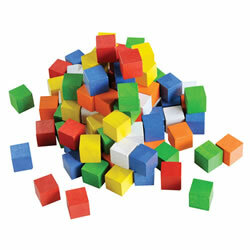 Give children a hands-on approach to teaching simple math concepts with building blocks that teach math as they play. The hardwood blocks are graduated in size with the higher the number the higher value of the block--no matter how the blocks stack up, the numbers add up. Add the Early Childhood Activity Card set for extended play (purchase separately). 3 years & up. 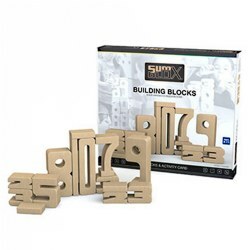 These 1" wooden cubes are great for stacking, sorting, counting and more! 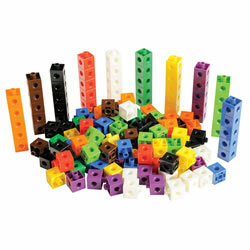 Includes 102 cubes in six different colors. Pieces store in a convenient jar with screw-on lid and handle. Grades K - 3. The Unifix® 1-10 stair consists of ten joined vertical grooves in which joined rods of Unifix® Cubes are placed to match the values printed at the top of each groove. 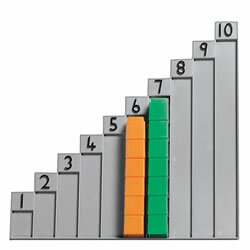 Cubes placed in the grooves demonstrate each number as a grouping of ones. 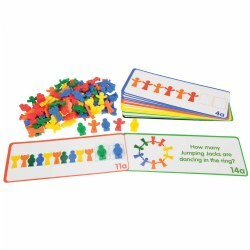 Ideal for reinforcing and teaching number, ordering and sequencing. 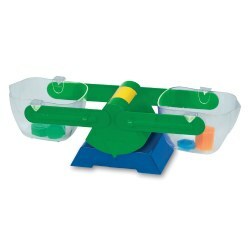 The stair is made of durable plastic and measures 8.5" x 8.875". Cubes are not included.